Some will argue that a poem is a meditation. The poet contemplates an idea, distills it, then shares it with readers, and this is certainly true of major’s latest collection of poems. The very first poem, “cosmology meditation #1,” sets the pace, and invites readers into a journey that is not based on any specific destination, but rather journey as exploration. major engages the reader in the very first line, and includes them in the process by using the pronoun, we. In this way major is being inclusive, but she is also saying to readers: you have a stake in this; this is not a poem from which you can absent yourself and merely be an observer, a reader, you are the we and the we is you. This inclusive quality is even evident when major uses “I” as she does in the poem, “the yes to life.” The refrain, “ i want to be born” is true of all of us – we are here because we wanted to be born, to be apart of this life circle. And as such we have to show up, we have to listen to and embrace one another, we have to participate in whatever change or unfolding we would like to see happen. Major’s book could not have come at a more appropriate time as now when the clamor of despair is being spoken into the universe. But as many of us know, these are also times for listening to our hearts and minds and doing what’s right for the greater majority, the global world of which we are a part. Reading and really reflecting on the messages in these poems will help us to become our better selves. “cosmology meditation #2,” the final poem of this deeply motivational and spiritual collection ends aptly, “you are at the center/of the universe.” major returns to the collective you/we, and our place in the world, and as a result of our centering, our responsibility to the earth and to each other. Major’s collection is philosophical and should be read slowly, so take the journey. There is no specific destination other than to be present to your life and all the other life around you. The poems are compelling with potent stories about war, family secrets, dementia, resilience and love, universal themes with which everyone can connect. Below is an interview with devorah major about this collection and her life as a poet. 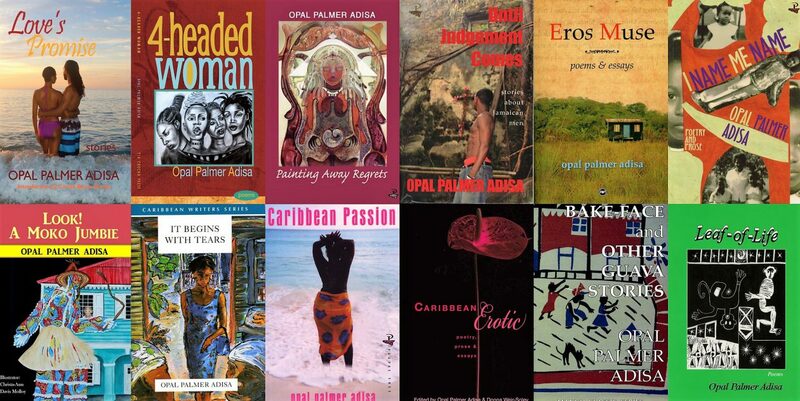 OPA: Congrats on the new collection of poems. I am very intrigued by the title, and then we became. Talk about what came before and what we become? How did you arrive at the title? dm: I think that there is so much attention on getting there, whatever there means and wherever there is, yet I find myself far more intrigued by the idea of the journey, and in this case the journey is in becoming more humane and whole. OPA: How did you arrive on the sections and order of the poems? The section order seemed reasonable as the journey starts at spirit, then there is the idea that we are in a human family and thus are both our individual selves as well as the essence of others, but then of course we exist in our fragilities, only to hopefully through all of that become whole. Thus and then we become, spirit, other selves, fragile, and whole. OPA: There are many poems in this collection that I love, but I think “cosmology meditation” is my favorite. Then two of the more complex poems, “the judge,” and “any name will do,” are so potent and froth with references and innuendos, can you speak to what sparked/solicited those poem? “cosmology meditation” came from me trying to synthesize the ideas of string theory in conjunction with the human ideas of cosmology. “the judge” was written from someone I encountered, who was in fact a judge, and was faced at one point by his daughter brandishing a knife in his direction. I was troubled by the lack in introspection in what role he might have had in the occurrence, but I knew he sincerely was seeking counsel on how to improve the situation. “any name will do” started at a Cave Canem workshop where Sonia Sanchez told each of us to write a poem based on the saint whose name was above our (monastery) door. I had Mary’s mother, Anna, about whom almost nothing is known. My mother’s family had, for the most part, chosen to distant themselves from us when my mother married an Afro-Caribbean instead of the required Jewish man. Her grandmother was especially adamant. My brother and I knew little about her and discovered that even her name was a mystery. Was her name Anna or Hannah? I took the opportunity to intertwine the lack of knowledge of the saint and of my mother’s grandmother who she spoke of as saintly. OPA: I know you have been asked this question over and over about process, so I will attempt to frame it differently. How has your process changed over the years? And secondly, what do you notice about your writing self now that might be different that when you were an active mother of young children and just getting your career started? I was totally cathartic about my writing when I was younger. I wrote almost stream of consciousness and then sorted out the poem or poems. I did not trust the reader as much and had very long poems which spoke to each shading of a situation. I rejected writing in forms. Now while I do let the moment pull me into a poem or story, I sit down to write when I have time to write, not just when a creative impulse arrives. I make time to write! I am more purposeful in my writing. I also see the writing of forms as a way to strengthen my voice more than a way to be boxed in. When my career was getting started I did not think of it as a career. I wrote because I had to write to keep or gain a balance. I published or read publicly because others encouraged me. My children filled my life and my writing. Now there is not just the writing but the revisions. Once I resented editing, now I love it. The polishing and refinement lets me discover what my poem or story really is. While family still has a central part of my writing attention, I also, as seen in this collection, reach outward to the stars. And of course now there is the business of writing, which is its own animal. OPA: You have enjoyed many successes, including, being the 3rd poet laureate of San Francisco, and last year you did a major performance piece with San Francisco International Arts Festival. How have these recognitions help to launch or stabilize your career as a writer? And secondly, talk a little about performing the poem. In any art form I think the idea is visibility. How do you find an audience that hears you, that is fed by what you have to offer? Being SF Poet laureate increased my visibility and allowed me to meet many new audiences. The play,” Classic Black: African-American Voices in 19th Century San Francisco,” let me use the acting training that I had and working with a director showed me how to create a poetry play that had a dramatic arc and held tension, passion, sadness, irony in the telling. As for performing, for me poetry is as much a performance art as a writtn one. The poem comes alive when given breath. I often read poetry aloud when I am reading it at home, my own to help me hear how it works and where it fails, and other people’s to understand it better by hearing and feeling their words and rhythms. I feel a poet has a responsibility to be able to present their own work with fire. OPA: Although you are an adjunct professor at CCA, you still work with elementary students through the fine arts museums program where you have been the poet in residence for over twenty years. What is similar or different about teaching college students, young adults, as oppose to elementary and secondary school students? Young people tend to take more chances, to be willing to jump into the poetry fray and see what comes out. They will sit down and write a poem, two poems, more on demand in a short time period. Older students want to be right and to do it in the correct way, or alternately the want to do it their own way despite lacking a foundation. They write more studiously but, if not writing majors, tend to share with youngsters an aversion to editing and rewrite. Older students however bring abstract thought, which appeals to me, and elders have the added benefit of time on the job which can bring a real depth t their poetry. OPA: I feel as if the poetry scene has changed a great deal from when we began. There now seems to be a clear divide between academic poets and non-academic poets. I feel as if you and I straddle both sites. Speak to that and what you see as your “role” as a poet. I think some institutions in wanting to control a thing must name a thing, therefore one has academic and non-academic poets and poetry. It is such a farce. Academic poets are, presumably, those who have gained entrance to or may become a part of the canon. They are the poets worthy of being taught. Lucille Clifton is in it now, but wasn’t for years, Gwendolyn Brooks was finally admitted but many others are excluded. What makes the academic world the arbitrator of this or any part of the arts world? My role as a poet is to speak truth, to speak my vision of today, of the future with skill, integrity, and heart. In that I feel a responsibility to keep growing and to become stronger in my craft, but not through an arbitrary ideal of what constitutes a good line or poem structure. So much MFA poetry is strong in structure but weak in individuality, weak in originality, stifled in subject matter, such is the influence of the academic model. As a poet I try to write about what matters, and that is a large and complicated palette. OPA: Do you have a poetry community, a tight-knit group of cohorts that you get together and with whom you workshop your work? And if yes, what is the value of such relationships? Yes. Writing is a lonely task. Not that I feel lonely when I write. Indeed I am full of voices and music, but that it is done alone, often in quiet. Stepping out and having draft work reviewed by peers whom I trust gives me another perspective. How will the reader receive this work? Of course they are in some ways “the ideal reader” that the Italian writer Ecco speaks of in that they come with a certain amount of knowledge and an awareness of me, of each other. Still they are other ears, minds and hearts and they really do help me to see what I am doing and at times get unstuck in the poem or story. A trusted group comes with no agenda except to support each other in our writer journeys. OPA: I know you are always working on multiple projects? What’s next for devorah? How can the poetry community or just your audience or anyone out there assist you in your next project? I have another poetry manuscript almost completed, tentatively titled SNAP. I have a novel, novella and a few children’s stories finished and waiting for an agent or publisher to see and appreciate their possibilities. I am working on finishing a collection of short stories, mostly speculative fiction and/or science fiction, and a sequel to the science fiction novel I am now shopping. I am redacting tapes I made with my father for an eventual book, which will be his memoir with interjects and historical context by the daughter of the writer. Also, I am working on a book, with you, on how to teach poetry to secondary school students. To support any writer, buy their books if you can and/or attend their readings. Also if they have a website, visit and comment.